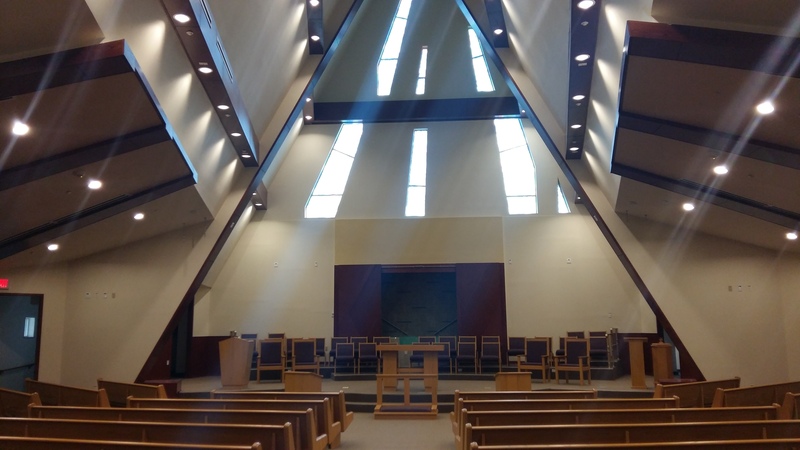 As a chaplain, when I visit a new post, the first things I like to visit are the chapels, followed by chaplain’s offices and work areas, then memorials and cemeteries, finally historical points of interest…that is, of course, after I visit my chaplains or accomplish the mission I’m there for. I state that first, to explain why the majority of pictures I’m going to share in this post are of those things. 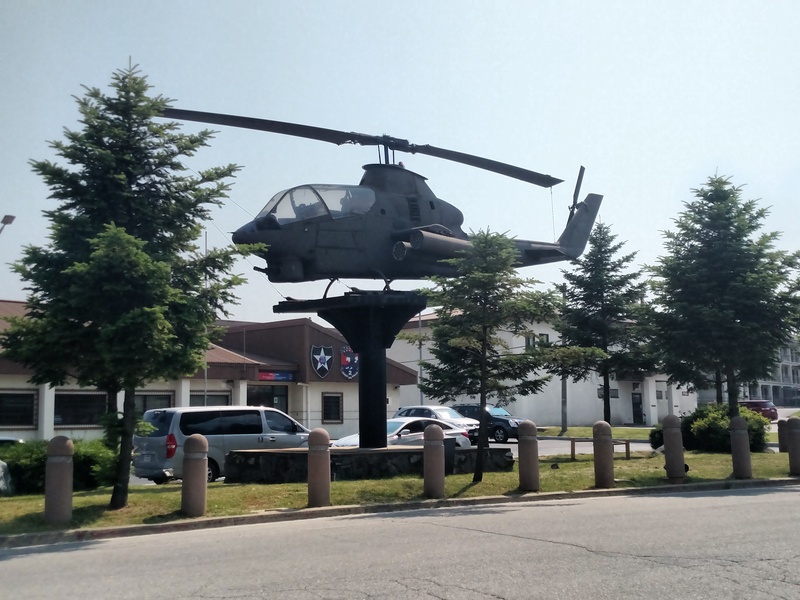 Camp Humphreys or United States Army Garrison (USAG) Humphreys, is a U.S. Army post near Pyeongtaek, beside Anjeong-ri. Humphreys is about 55 miles Southwest of Seoul (at least an hour and a half drive depending on traffic). 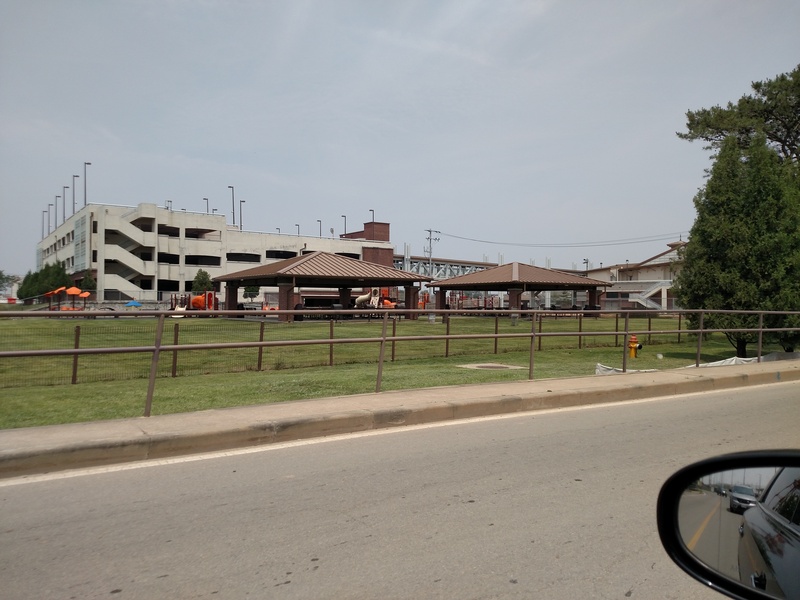 What is now Camp Humphreys began as Pyeongteak Airfield in 1919 by the Japanese during their occupation of Korea. 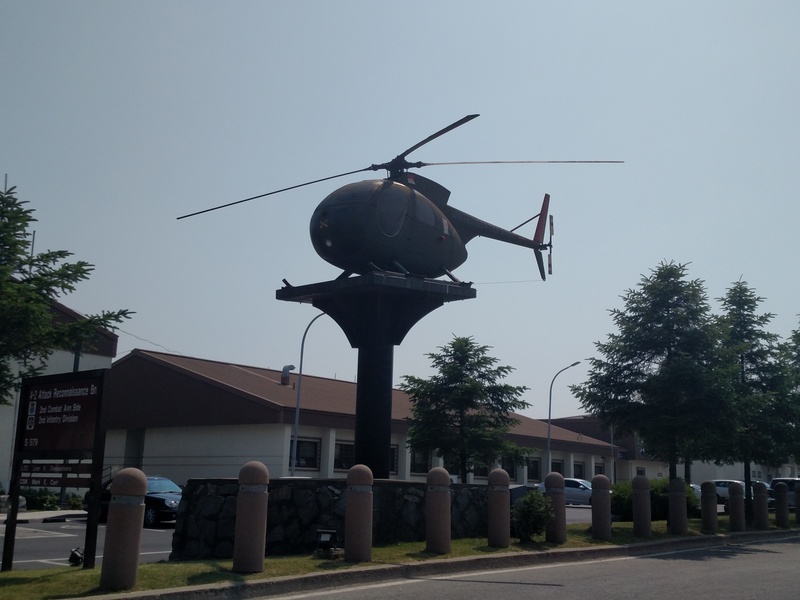 The Air Force rebuilt it during the Korean War and renamed it K-6, then in 1962 it was renamed Camp Humphreys in honor of CW2 Benjamin K. Humphreys of the 6th Transporation Company (Light Helicopter). 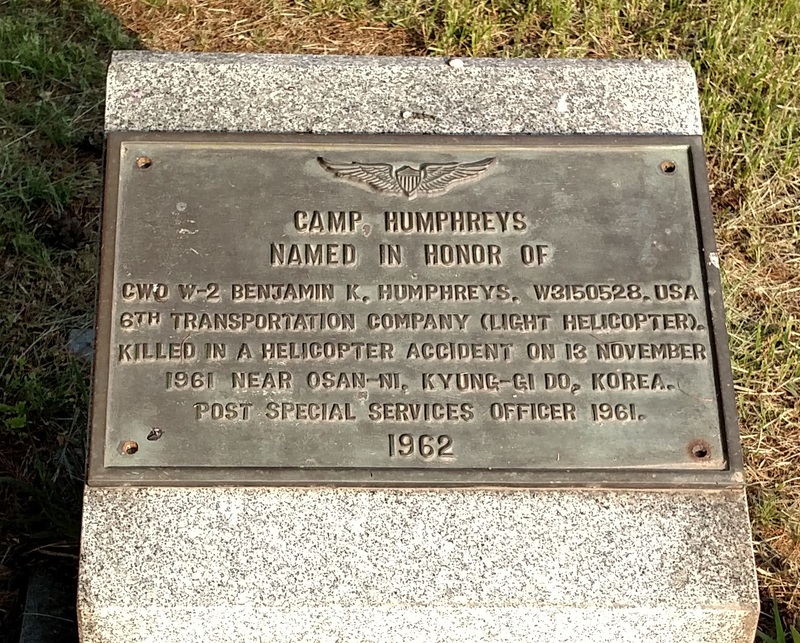 Humphreys was killed in a helicopter accident on 13 November 1961 near Osan-Ni, Kyung-Gi Do, Korea. 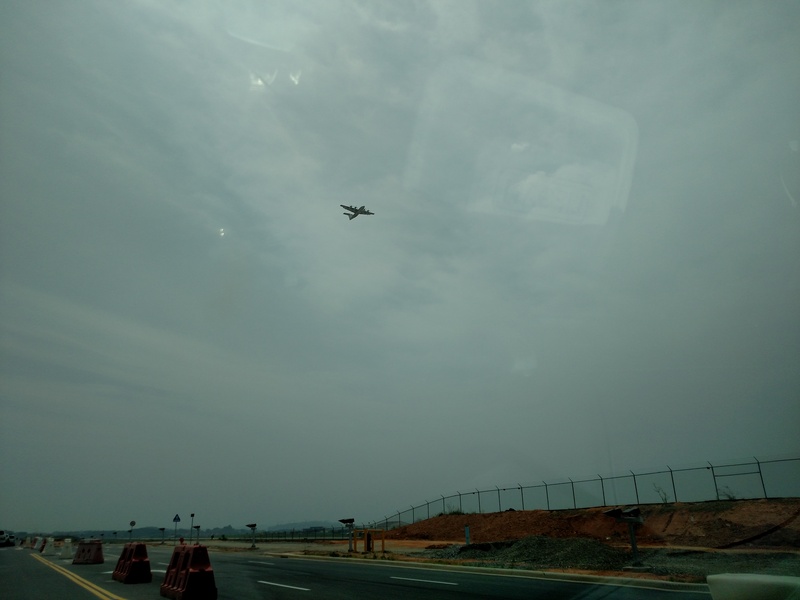 Camp Humphreys is home to Desiderio Army Airfield, said to be the busiest Army airfield in Asia. 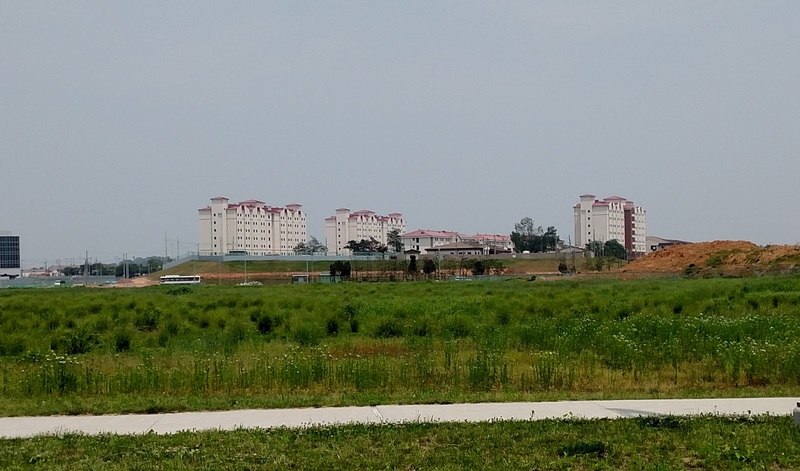 Camp Humphreys is rapidly growing since it has been chosen as the new home for most of the nearly 30,000 U.S. Army troops in South Korea to include the headquarters of United States Forces Korea (USFK). 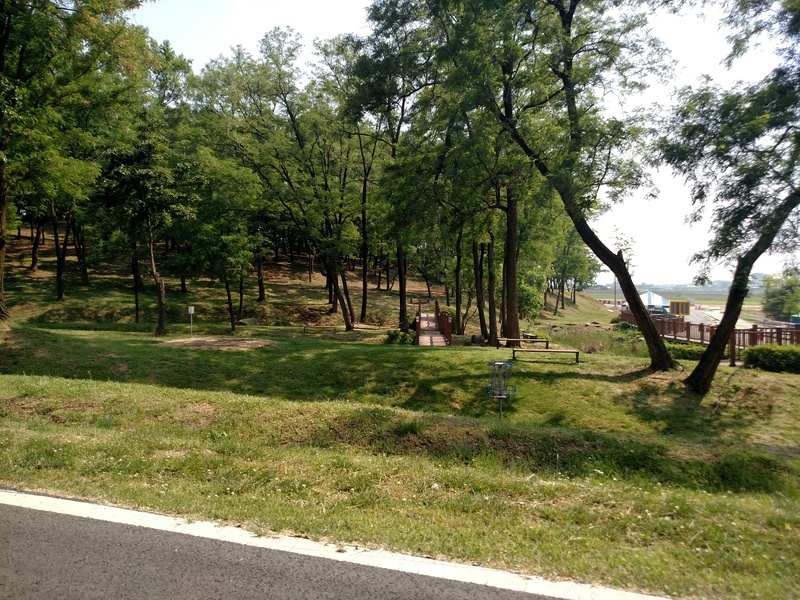 By the time the move is complete, Camp Humphreys will spread over 3500 acres. 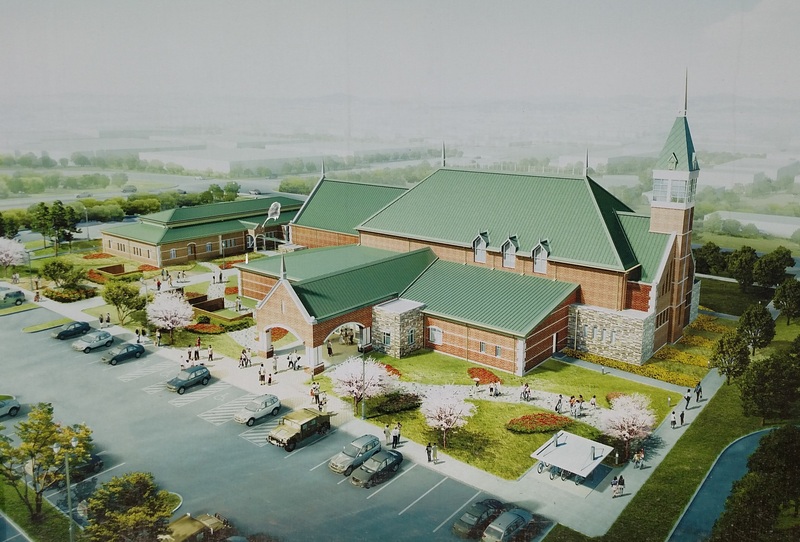 Artist’s conception of the mid-size chapel being built in the Main Post area of Camp Humphreys. 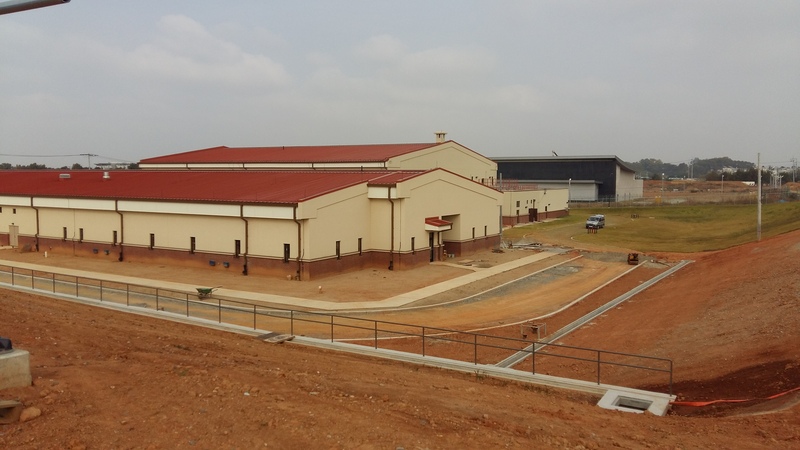 It is scheduled to be complete by December 2016 and will be called Freedom Family Life Chapel. 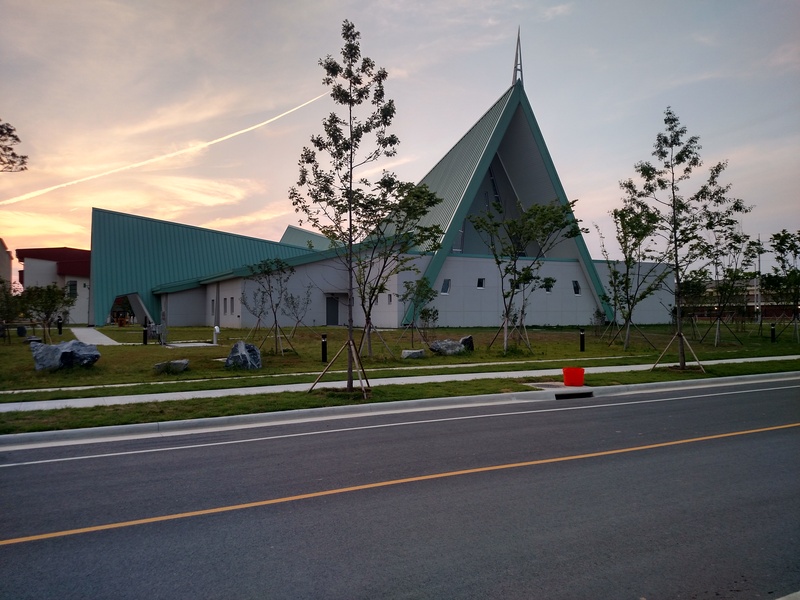 When construction is complete there will be two of these troop chapels on Camp Humphreys. This one is expected to be named Pacific Victors Chapel, the other Indian Head Chapel. This is what will be the main chapel on post when complete in August 2016. It’s located across the street from the Elementary School and is expected to be named Four Chaplains Memorial Chapel. The picnic pavilions in Beacon Hill Park were built in 1989 by 22nd KSC CO.
Beacon Hill Park has a nice wooded area. 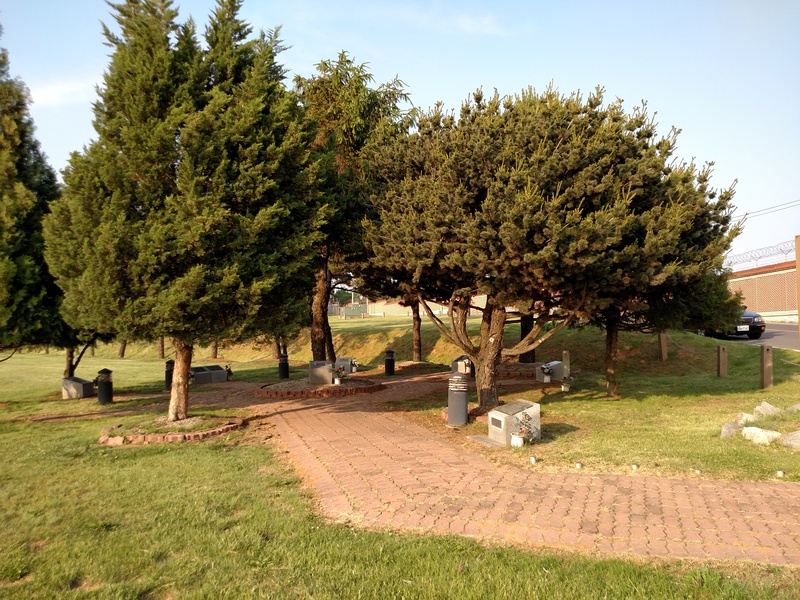 Located in Beacon Hill Part is the USAG Humphreys Memorial Park. 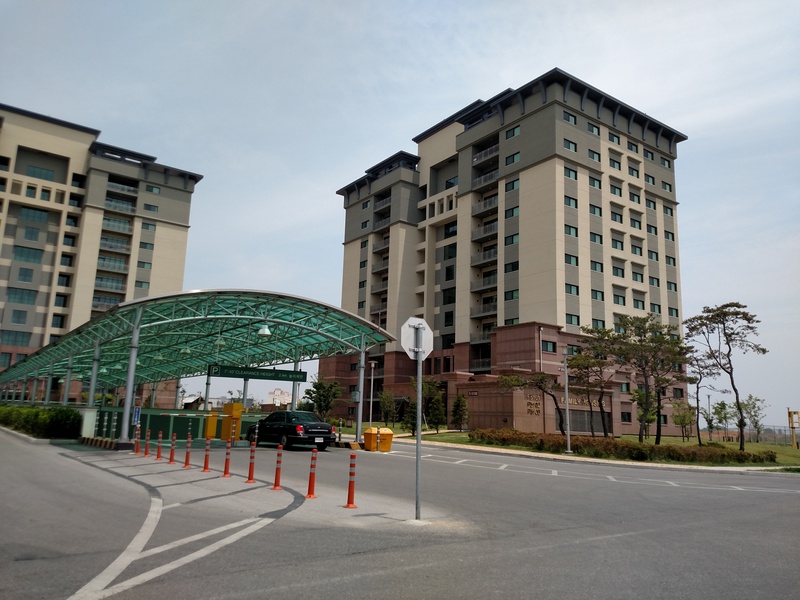 Even with over 3500 acres, space is at a premium as they build sufficient infrastructure and headquarters for the influx of troops and family members to Camp Humphreys. Many areas resemble the cities of Korea with high rise buildings and large above and below ground parking garages. 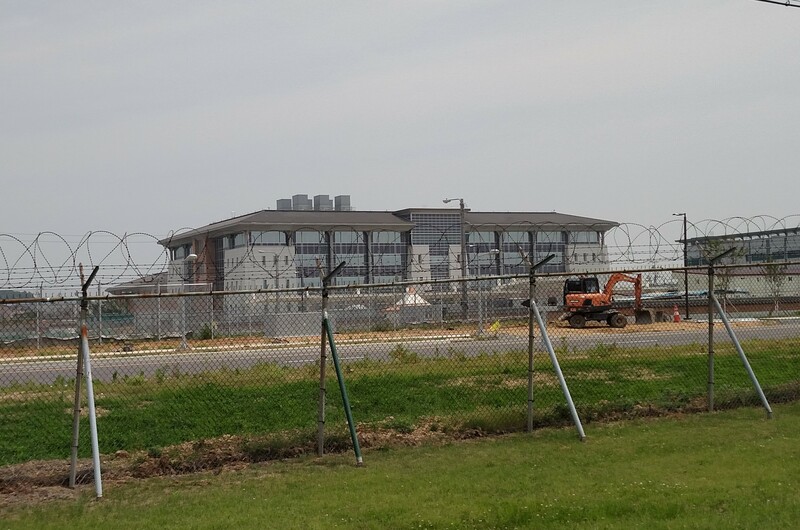 Here are a few pictures of some of the buildings being built or already occupied on Camp Humphreys. 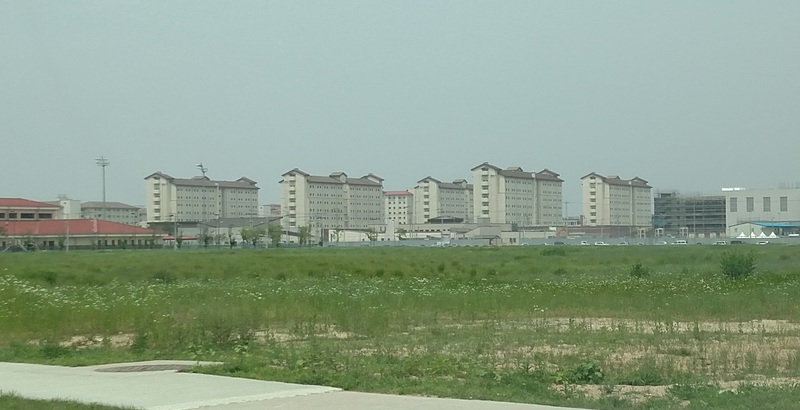 One of the family housing complexes. This is a cluster of three semi-high rises with underground parking. 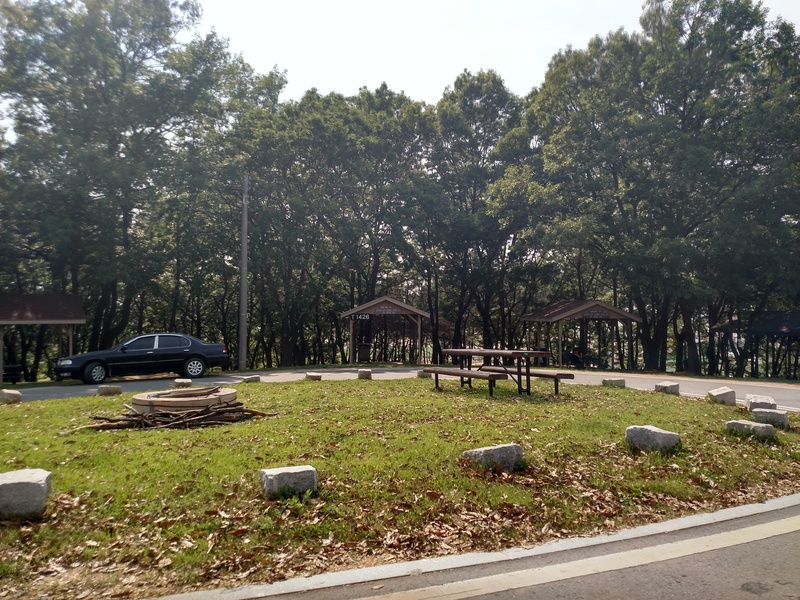 Picnic Pavilions outside of the Super Gym. This building complex will be my new BDE HQ once completed. The taller building is for the BDE, the smaller one in front will be home to two of the BNs. 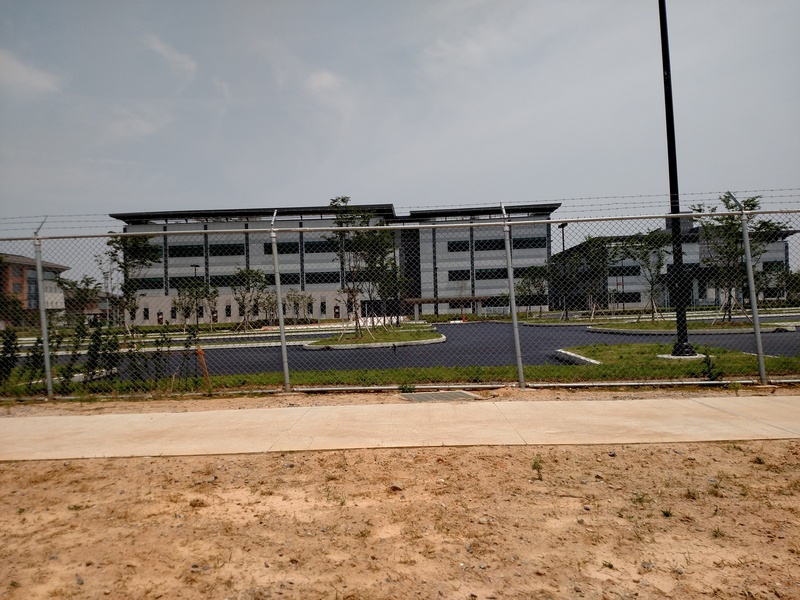 Another one of the HQ buildings being built on Camp Humphreys…there’s a whole row of them! In the distance is the Morning Calm Conference Center. Beside it is being built a large expansion of Humphreys Lodge. As mentioned above, Desiderio Army Airfield is the busiest Army airfield in Asia. Here are a few unclassified pictures of Army aircraft. One of the fixed-wing planes operated by one of my BNs. 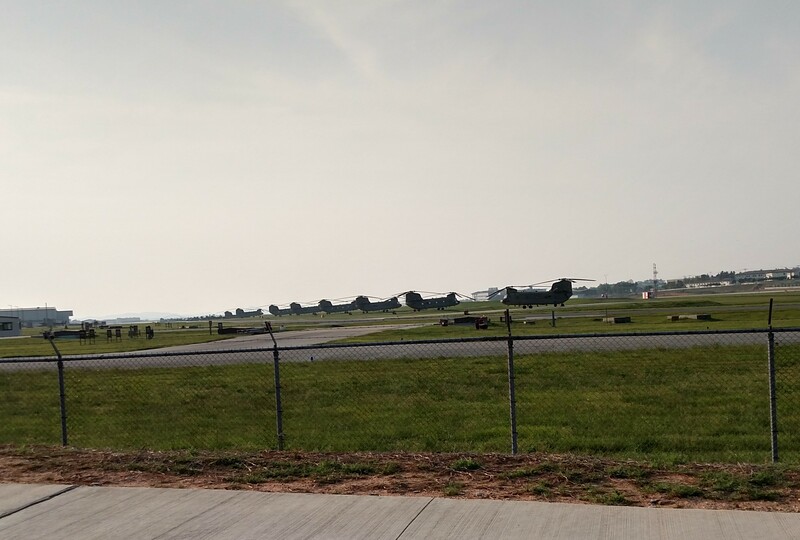 A Kiowa Warrior taking off from the airfield. 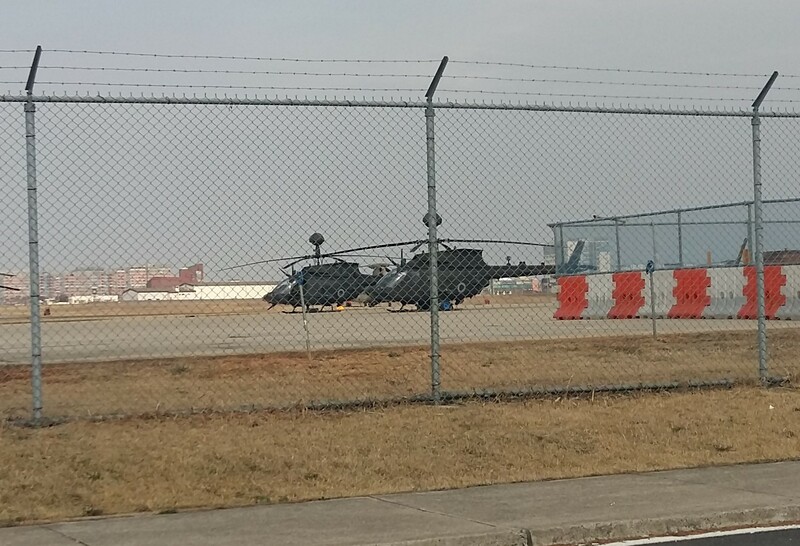 A mounted attack helicopter in front of a BN of the 2nd CAB. 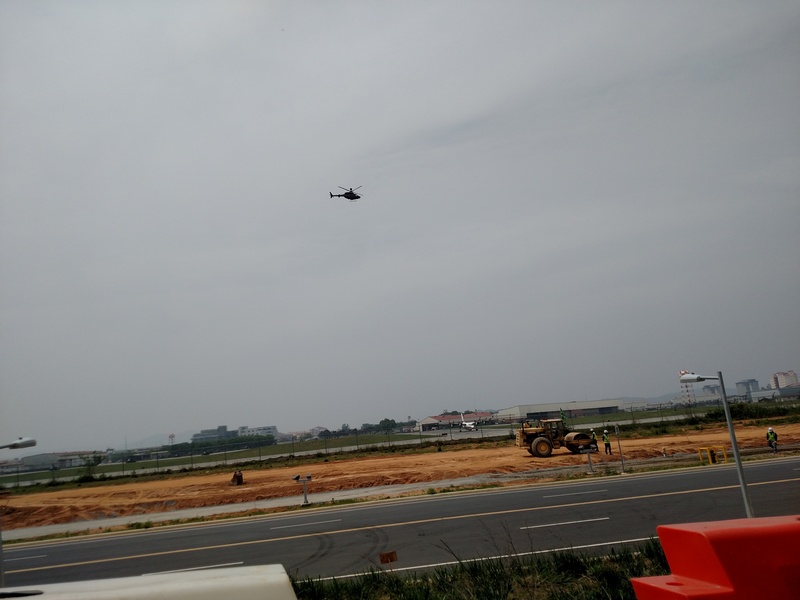 Another helicopter mounted in front of BN HQs of the 2nd CAB. 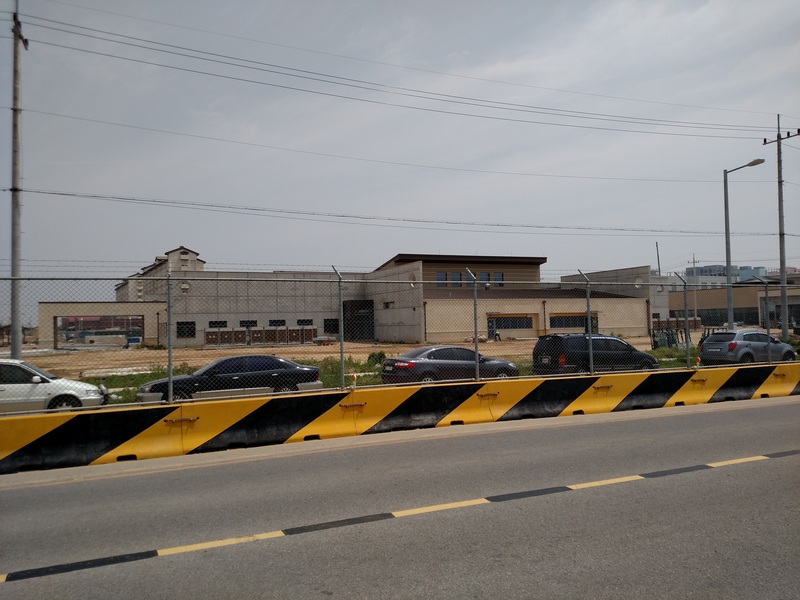 There is still a lot of building taking place on Camp Humphreys, as well as in Pyeongtaek, which will provide more for Soldiers and families to do and make life both comfortable and enjoyable. 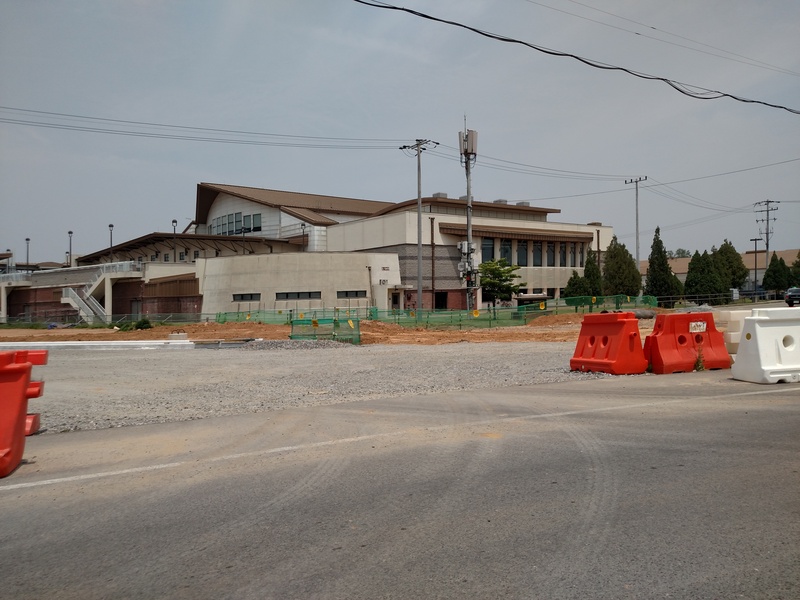 Additionally, a fast-train line is being added to Pyeongtaek which will make travel to Seoul a lot quicker, providing even better access to more of what Korea has to offer. 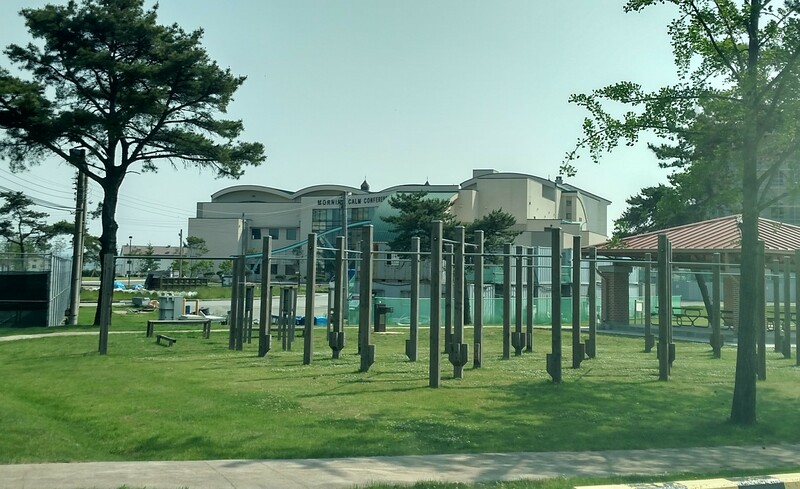 It will be interesting to see Camp Humphreys in a few years when the transformation is complete.